One: See what’s on top? Rosemary! 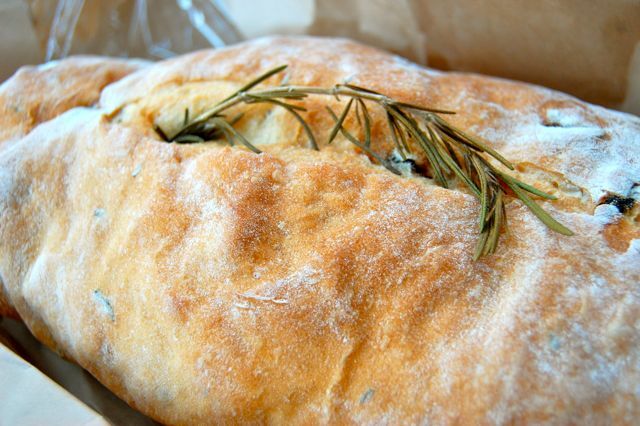 A fresh sprig tops Celena’s surprising and delicious Rosemary Raisin Bread. We have been back for seconds. The Roasted Garlic Sourdough (See? Garlic!) was also a hit at our table. Two: Did you know that weeding alone burns 6 calories per minute? That might not sound like much, but you haven’t seen my weeds. (Ha ha!) Now think: digging, weight-lifting buckets of mulch and bags of manure, hauling all those plants home from the nursery. 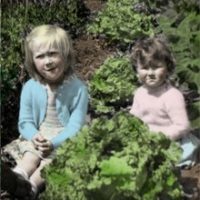 You’ll need a lot of energy to do good things in the garden. 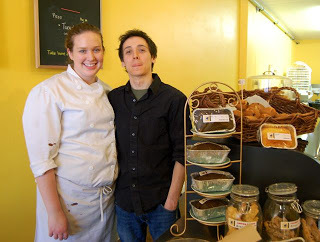 Celena and Richard Cambridge launched their business a month ago, and celebrate the bakery’s Grand Opening this weekend, March 13 & 14, 2010. Buy a coffee or hot chocolate on Saturday and Sunday, and get a free cookie. Take it from me, Celena’s cookies are a delicious way to fuel up for three hours of weeding (your mileage may vary). And this is a completely unsolicited endorsement. LOL, and most importantly, 3) It's your blog and you can post whatever you like without excuses. That bread looks sooooo good! A bakery near my mom's house (alas, not near mine!) makes what they call Napoleans, what my mom calls Vanilleschnitten, and which to me look like custard slices. They are TUMMY! I so miss living in Germany when on my way to work each morning I would get a rye pretzel and a Broetchen (crisp roll, fluffy on the inside, not like any rolls here) from the bakery. Sigh. Wish I could visit with you and share a snack. I wish to register a complaint. This post discriminates against those of us who live in other countries. It is pretty much geographically impossible for us to get to Danforth (near Woodbine) in time to claim our free cookie. I am not exactly sure what the correct word is for this sort of discrimination. As it involves biscuits it probably constitutes a particularly vile form of xenophobia. Mmmm, Monica. Napoleons. I hate the way that carbohydrates have become villains. Or, in the case of Napoleons, perhaps "vanillains." Luckily, lusting after sweets does not add calories to the middle. Alice, one day, snack sharing will happen. Meantime, take care of that over-zealous back of yours. James, I am your banker for (at least) one free cookie – though it will be hard to stop at one. You may redeem in person at any time at your convenience. Hmmmm. sound delish, since rosemary is one of my favourite foods. The snow has receded here enough that the first clump of snowdrops is showing, and I spent fifteen minutes cutting old perennial stalks, stacking them in a pile…then ate a piece of pizza. Might not have quite burnt supper all up in pre-supper tidying, but it was a start. Wasn't it? (looks worriedly around). Yum-my! Rosemary Raisin Bread – how unique. Good luck with those weeds now that you're all fueled up. Now I'm craving bread, even though I just ate dinner. Yummy. How nice to have such a shop close by.